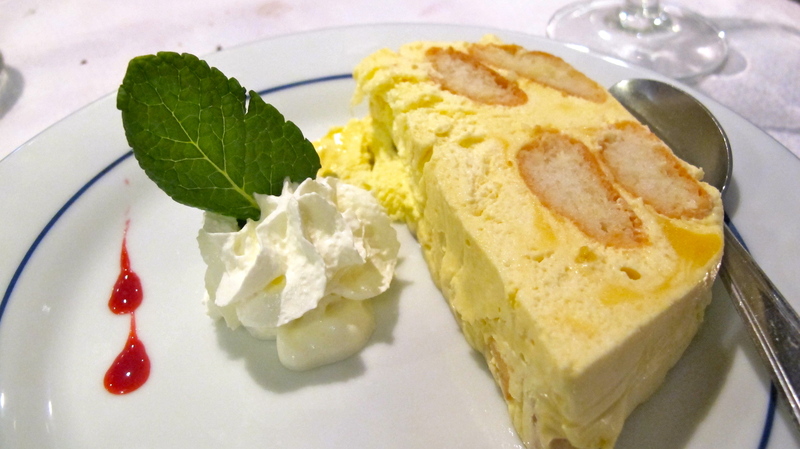 There are so many local dishes in Nice, we could’ve easily stayed a week before we tasted them all. But with only a weekend, our strategy was to pack as many Niçoise or Provencal dishes as we could in two restaurants specializing in regional cooking, Bistro d’Antoine and Voyageur Nissart. 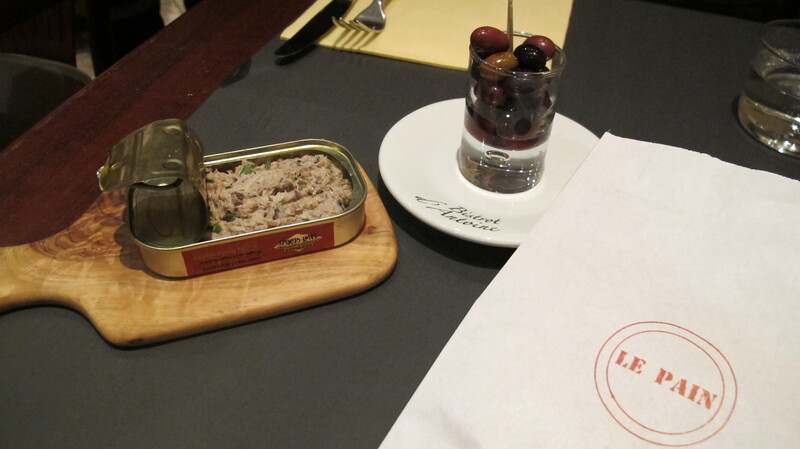 While both are homey, unfussy joints, Bistro d’Antoine’s service showed more finesse, the warm welcomes accompanied by nutty warm bread and mise-en-bouches, a classic bowl of olives and a can of oddly yummy tuna. And while the restaurant is small, the servers never seemed hassled and the diners never felt cramped. The menu, with about 10 options for each course scribbled on blackboards was appealing and reasonably priced when compared to Parisian standards. 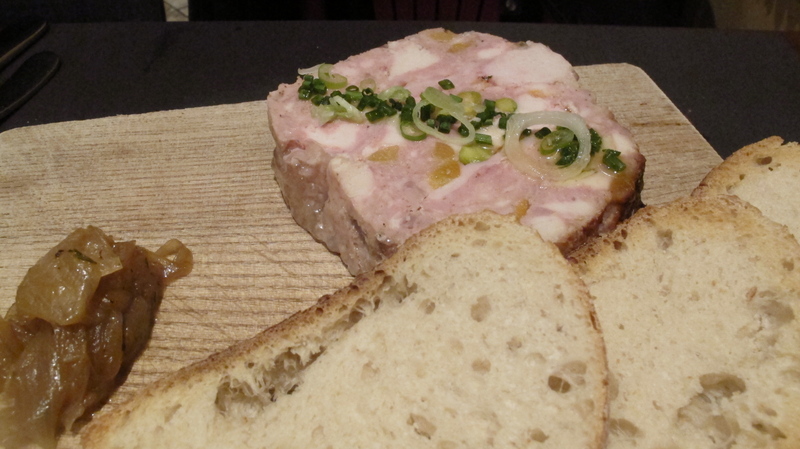 The flavors were assertive and punchy, like P’s slab of homemade rabbit terrine that was in turns savory, peppery and nutty, a hearty meal-in-one when paired with sweet onion confit and rustic country bread. 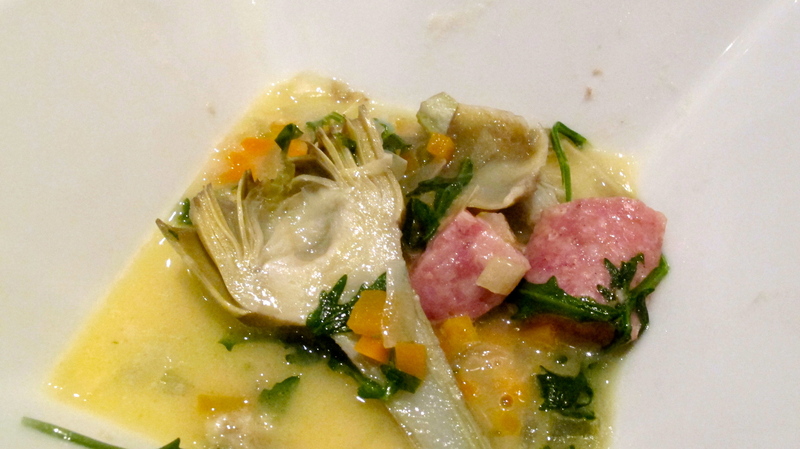 My own entrée was a cocotte of artichokes braised till soft and tender in a tangy lemon and white wine sauce, à la Provencal. In case you think it is too light and refreshing for your taste, let the presence of saucisson chunks and butter in the sauce convince you otherwise. A stew is de riguer during the winter season, and a slow braised cocotte of pork was exactly what the husband ordered, never mind that it never got below 10 degrees Celcius when we were in Nice. 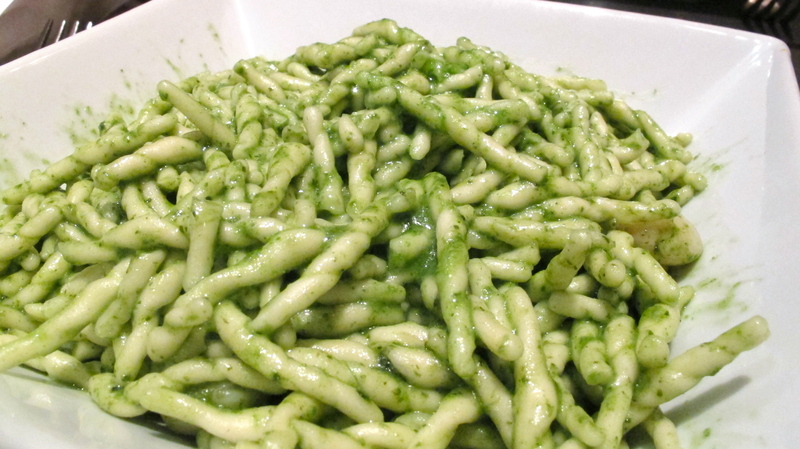 As for myself, a bowl of freshly made pasta tossed in verdant green basil sauce was my antidote against the chill. And no, it is not considered not a travesty to order pasta in France when we’re in Nice, considering the Italians had controlled this part of the world until the late 1800s. 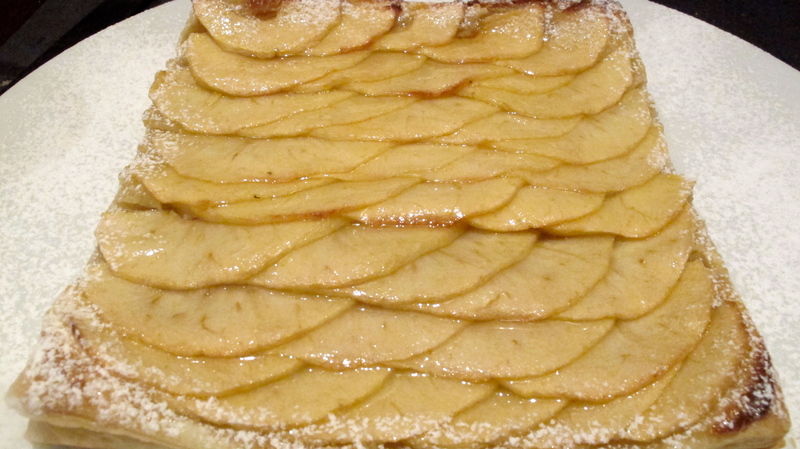 We ended with a slice of apple tart, the fine layers of fruit slices resembling fish scales, gleaming from a generous brush of abricotage, a sweet finish to our first day in Nice. Although we enjoyed our dinner at Bistro d’Antoine, we had failed to cover ground on the oft-quoted “classic Niçoise dishes” such as petits farcis and daube de boeuf. We corrected the situation with a meal at Voyageur Nissart, a small casual restaurant behind the train station, its menu reading like the content page of an “Introduction to Niçoise food” book. 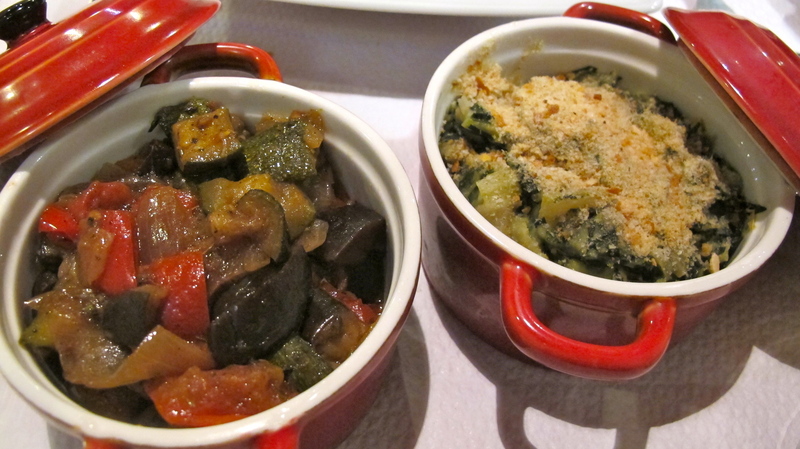 Petit farcis, ratatouille, a gratin of local blette (swiss chard), gnocchis…. 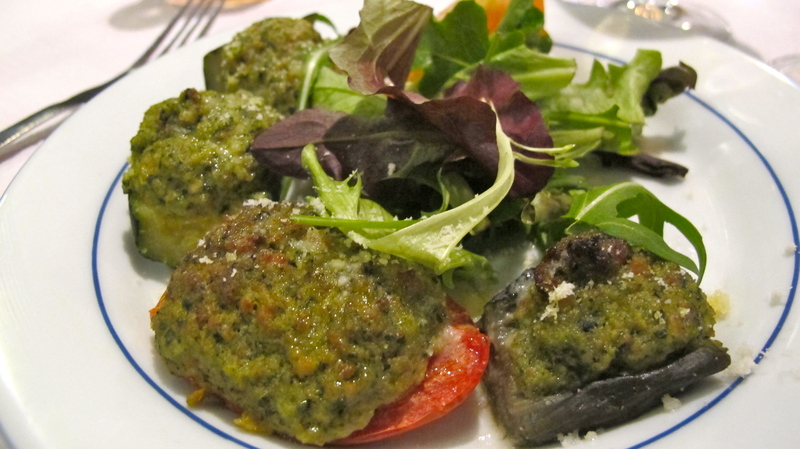 these and more traditional Mediterranean and Provencal dishes were on the menu. Unfortunately, while these dishes were flavorful from their sauces and/or copious lashings of olive oil, their textures for the most part was soft and mushy, in particular the gummy gnocchi. From the speed at which they reached our table, not 10 minutes after we had ordered, I suspect they were pre-made and reheated just before serving, thus losing points on texture. Thankfully the mains were much better. 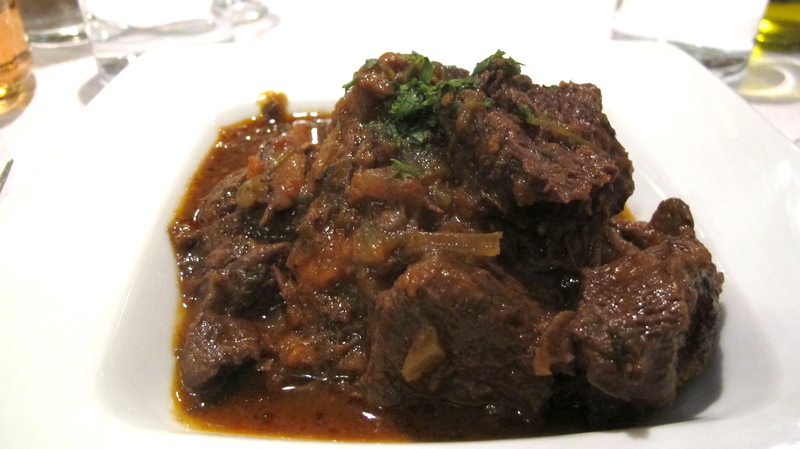 The daube de boeuf, though made with a tough cut of meat was quite tender, and the meat had soaked up much of the addictive, herb-enriched tomato and red wine based broth that had been accented by the briny flavor of niçoise olives. 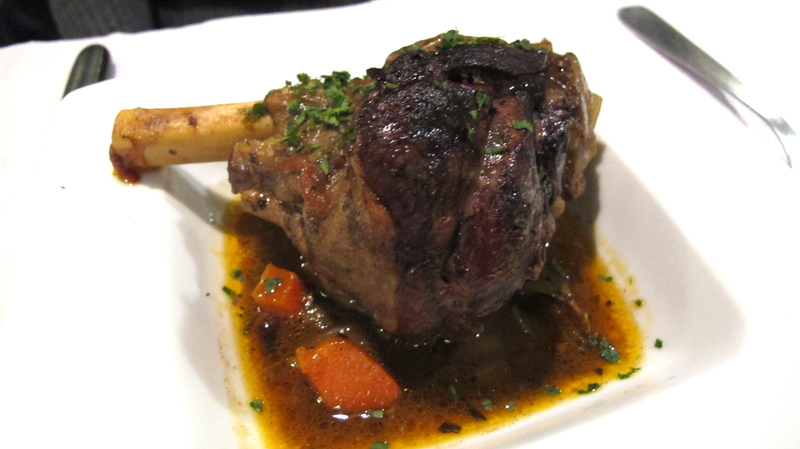 P was also pleased with his roasted lamb shank sitting in its own pan juices, perhaps the favorite part of his favorite meat. Though the crust was well-browned, the meat was tender off the bone and very juicy. The well priced menus (from 17E onwards) include dessert too. Neither the bavarois nor the tiramisu knocked our socks off, but like the mains, they too were generously flavored, the bavarois mousse studded with mango bits and the tiramisu laced with liquor. So though the beginning of the meal was somewhat uneven, we left Voyageur Nissart full and quite satisfied especially with the gentle prices. I would probably just skip the starters if we do have the chance to return. Thank you Nice for a sunlit and foodfull weekend! This entry was posted in Beyond Paris, Côte d'Azur, Cuisine, Eat out, dine in, eating out, Location, Traditional French and tagged restaurants in nice. Bookmark the permalink.